Which is better — liposuction or a diet? The answer might surprise you. Many people want to know which they should rely on — dieting or liposuction. They achieve similar goals in that they help you look more trim, fit and contoured. However, the differences are just as obvious as the similarities. Liposuction is an invasive procedure that you can’t have without the help of a qualified cosmetic surgeon. Dieting, on the other hand, you can manage yourself; although, if you’re really serious, you can hire a dietary consultant for advice, too. Another difference which we’ll discuss in more detail in a moment is timing. Liposuction you can have in a day with a few days of recovery, while diet could take weeks or months to achieve its goals, depending on how aggressive they are. Let’s look at each practice now to give you a better idea of which technique may be right for you and your goals. our body has a distinct number of fat cells in it. When you diet, your body doesn’t eliminate those fat cells; while some fat cells may naturally die, like other cells in your body, most remain healthy and active. However, when you control your diet, your body’s fat cells will shrink as a result. This produces your desired outcome of slimming and looking more toned and fit again. Another important aspect of diet is that it can and does reduce the amount of visceral fat your body stores. Visceral fat lies beneath the subcutaneous skin layer, near and around your internal organs. In addition to being unsightly, this excess fat can be extremely dangerous, which is another why maintaining a healthy diet is so important not only to your looks but also your well-being. What Liposuction Does Besides the obvious differences, liposuction differs from diet in a few important ways. Liposuction permanently removes fat cells from the body, unlike dieting, which only shrinks them. While several different liposuction techniques exist, which offer slightly different benefits and advantages, all liposuction techniques permanently remove excess fat. This means that, even if you gain weight again in the future, it won’t recur in the areas where you’ve previously had liposuction. Liposuction also specifically treats subcutaneous fat, the fat that’s directly under the skin. It does not treat visceral fat, the fat that lies deeper within your body. You can still enjoy substantial, visible and nearly immediate benefits from liposuction, but you must rely on other methods to reduce the visceral fat you have. In addition, liposuction can target areas of the body specifically, which gives individuals a great deal of control over their final look. As we mentioned, liposuction has nearly immediate results. 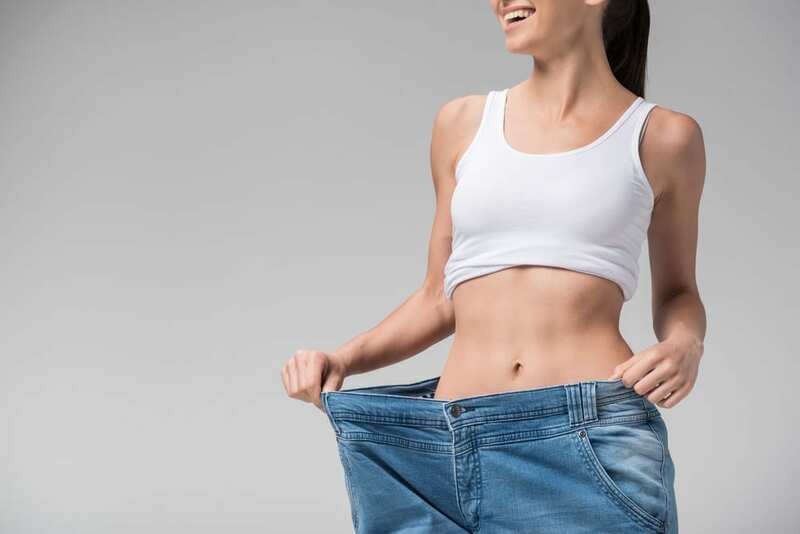 While you will have several days of recovery which will include some natural swelling, once you’ve had liposuction, you will no longer have troublesome excess fat to worry about. It’s gone. The immediacy of liposuction makes it an extremely attractive procedure and also distinguishes it from other methods of improving your look, such as diet. Liposuction and diet each have advantages and drawbacks. A good diet is essential, whether or not you have liposuction. If you want liposuction, in most cases, you will need to begin and maintain a healthy diet to get to your ideal weight before having your treatment, and you’ll need to continue your healthy diet to keep your results. Since diet can also address the visceral fat that liposuction can’t, managing your diet is a must for long-term health and weight control. However, the limits of diet are obvious. You can’t control where you lose weight or exactly how much. Plus you need to wait to get the results you want, unlike liposuction which produces results quickly. Diet also doesn’t eliminate fat cells, it merely shrinks them, which limits your ability to keep the weight off once you reach goals. For this reason, diet alone often doesn’t cut it when trying to achieve a wow-worthy physique. Liposuction can help you close the gap, however. By adding liposuction to a sound nutrition and exercise program, you can finally get the body you want because it eliminates the fat left behind after you’ve expended your best efforts. Eliminates it. The treatment perfectly compliments a healthy lifestyle and can help fulfill the promise of the toned, sculpted and fit body you deserve. Diet is essential to achieving good health and an ideal weight, but liposuction may be your best option for having nothing less than a body which turns heads and makes you smile every day. Dr Masood Ansari MBBS, MSC, MRCS, FACCS of My Cosmetic Clinic offers liposuction and many other safe, effective cosmetic treatments across 9 convenient clinic locations in and around Sydney and the Central Coast. His clients’ satisfaction comes from his experience and expertise which improve their natural beauty and restore their confidence, vitality and well- being. The surgeon’s clients also enjoy the consistent and compassionate attention of his entire practice staff. Dr Ansari’s commitment to the cosmetic needs of his clients ensures they receive the course of treatment best suited to achieving their ideal look. Call My Cosmetic Clinic now on 1 300 85 49 89 to book your consultation with Dr Ansari and learn more about body procedures such as liposuction or other treatments to rejuvenate the face and body. My Cosmetic Clinic can help you feel happy with your look again with results that last.